This is very angelic. Very pretty. And, right now, very much available to sample online. 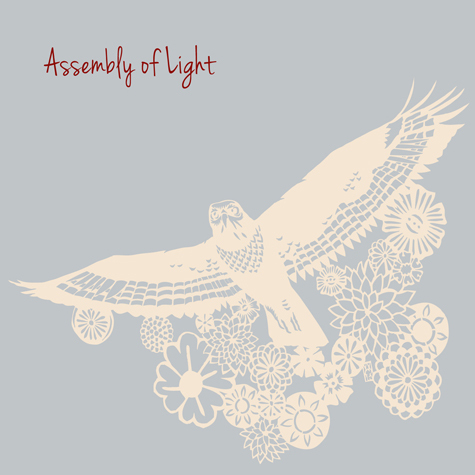 The maiden studio recordings from ASSEMBLY OF LIGHT see release this week via At A Loss Recordings, boasting six ethereal hymns from the twenty-some member female secular choir. Recorded at Machines With Magnets in their hometown of Providence, Rhode Island, the self-titled album features contributions from members of The Body, Braveyoung, Work/Death, Daughters, and more, creating some of the most unique songcraft in recent memory. As Assembly Of Light is officially available this week, the folks at Cvlt Nation are hosting a stream of the entire album, RIGHT HERE. The album is now available for order directly from At A Loss on CD HERE and Digital Download HERE. ASSEMBLY OF LIGHT just returned from an intense West Coast tour with their close friends, and labelmates, The Body and Braveyoung, where all three bands presented their own solo contributions as well as collaborative movements with members of all three bands simultaneously, as they have on previous tours on the East Coast. Further tour plans will be unveiled in the weeks ahead as the choir permeates new parts of the Earth with their presence.